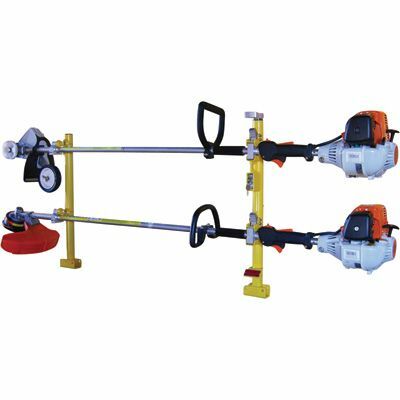 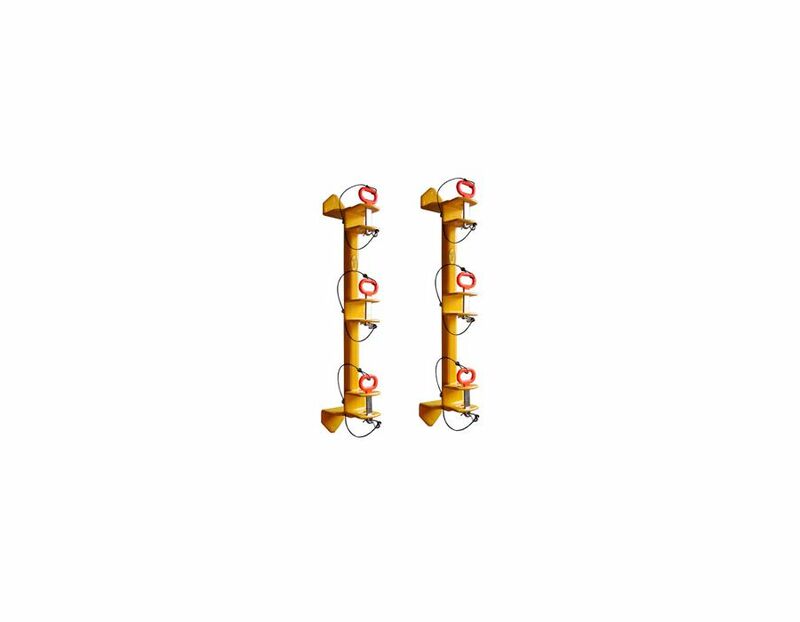 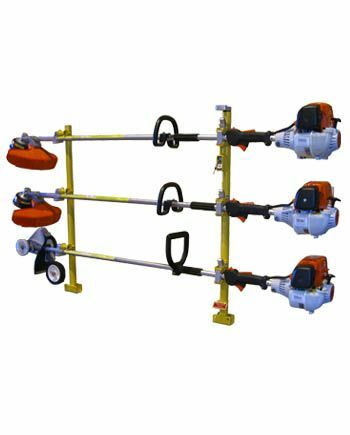 Secures 3 Line Trimmers, Mounts to the wall of your enclosed trailer, A Long standing industry favorite, Includes all mounting hardware and locks. 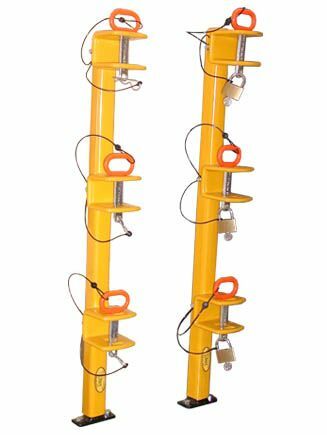 Heavy Duty vinyl coated steel construction. 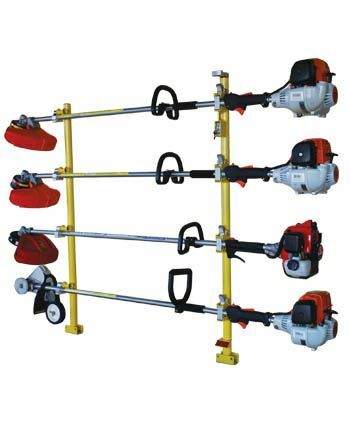 Find the LE-015 Classic Series Three Position Trimmer Rack by Green Touch at Kooy Brothers Equipment Ltd. in Toronto at 1919 Wilson Avenue, Toronto Ontario.